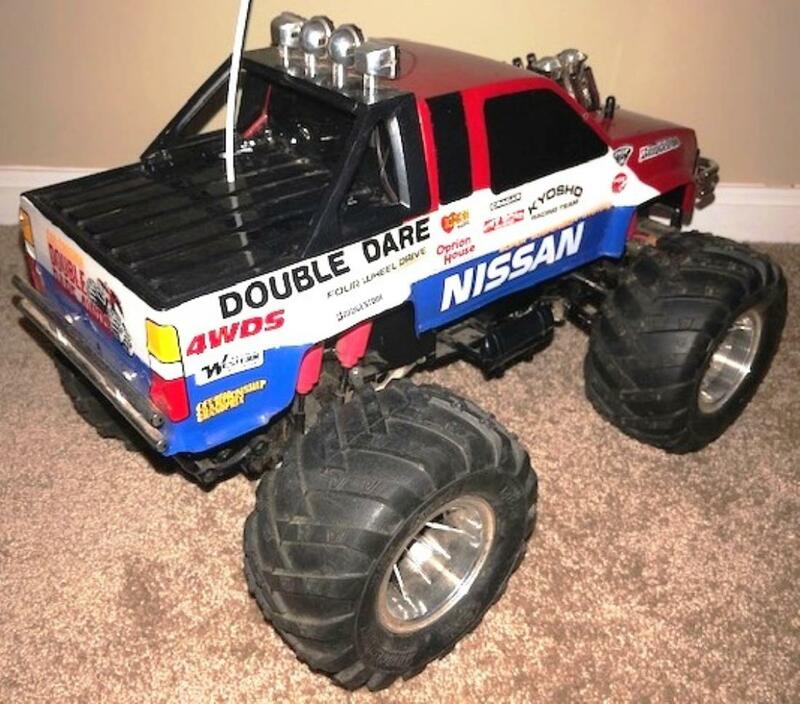 This is my vintage Kyosho Double Dare runner that I recently finished off as a runner after purchasing it from Ebay for $180 USD in January 2018. 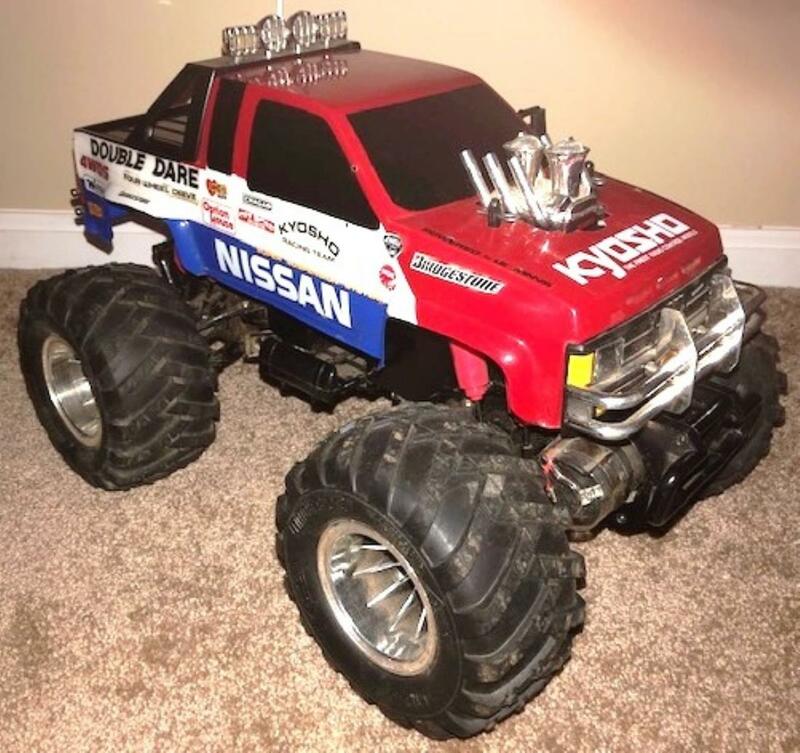 It's the second one I purchased and was in better condition so I sold the first one and kept this for myself. 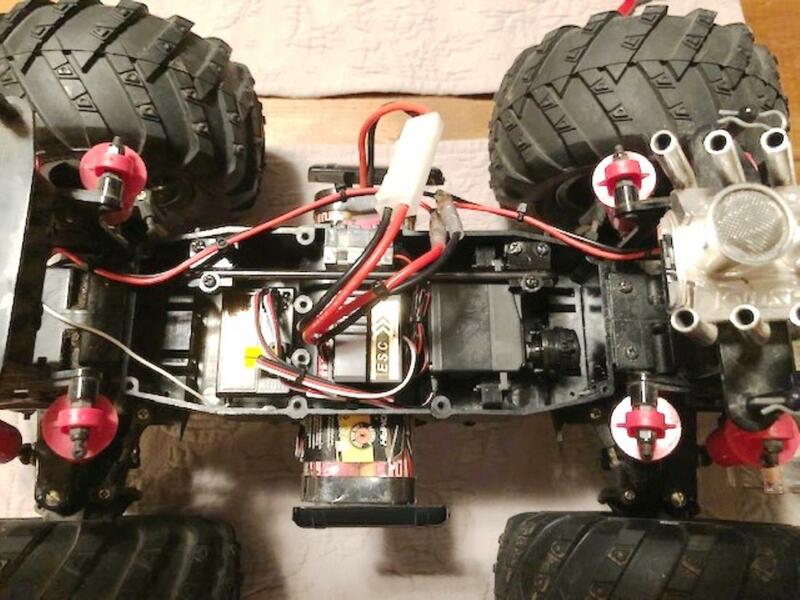 It came with the stock MSC and Lemans 05 motors but I installed a Futaba receiver and high-torque steering servo, China ESC and purchased a period-correct Futaba radio on Ebay for $17.50 USD to finish the look. 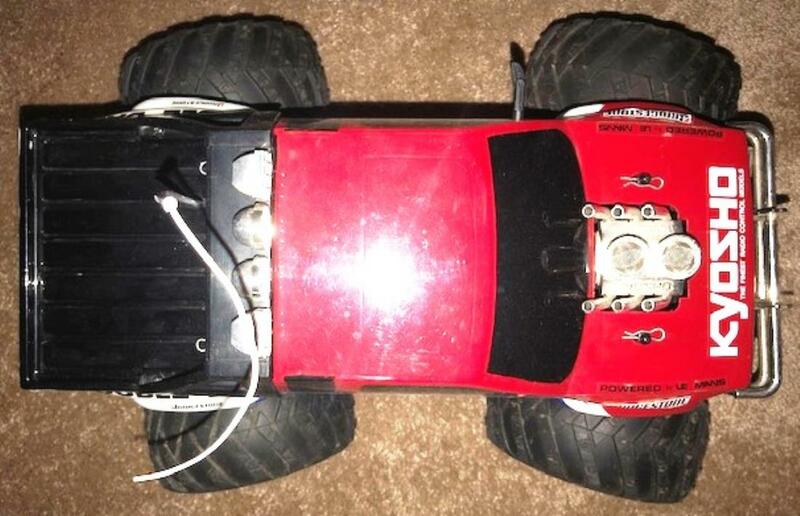 I'm going to hold on to the original MSC set-up so I can return it to original if desired. 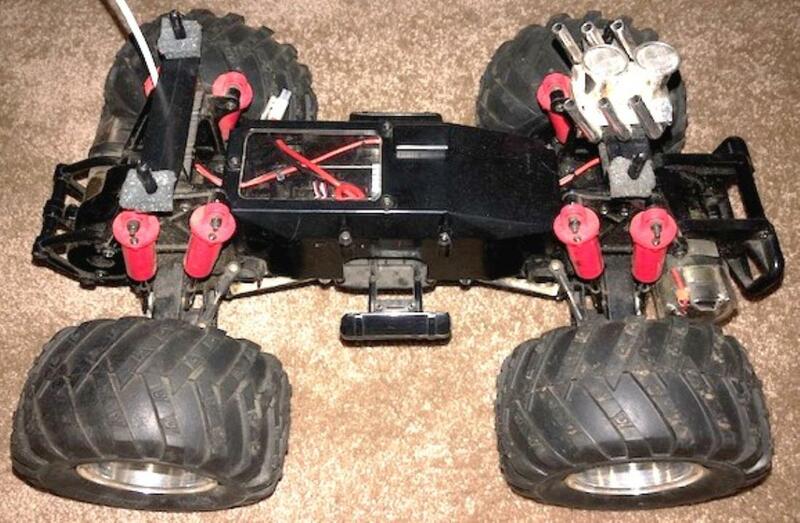 Other than needing a passenger-side mirror and a new set of lights, it arrived complete in great working order with the chassis/plastic parts, body and rims/tires all in very good shape with only very minimal wear and tear so a rebuild was not needed. 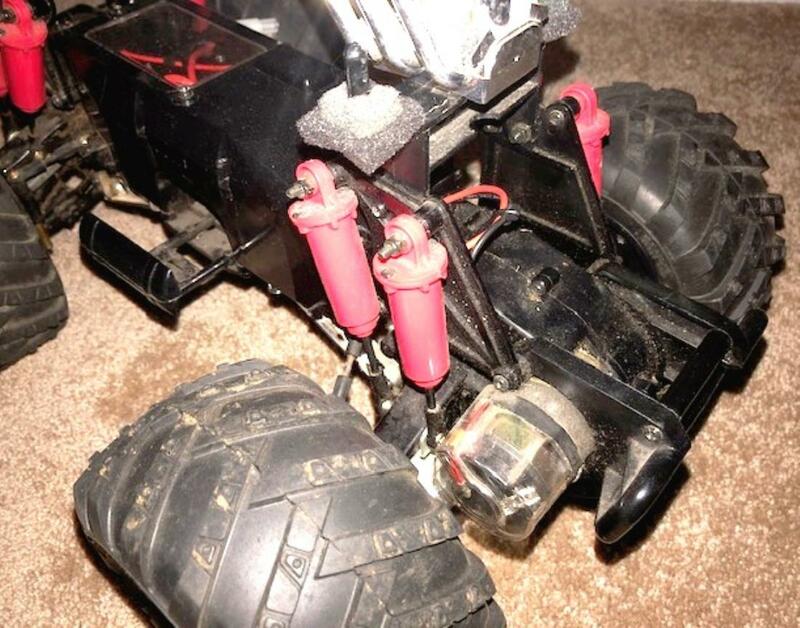 That said, I still collected a few spare parts to have on reserve since it's a runner. 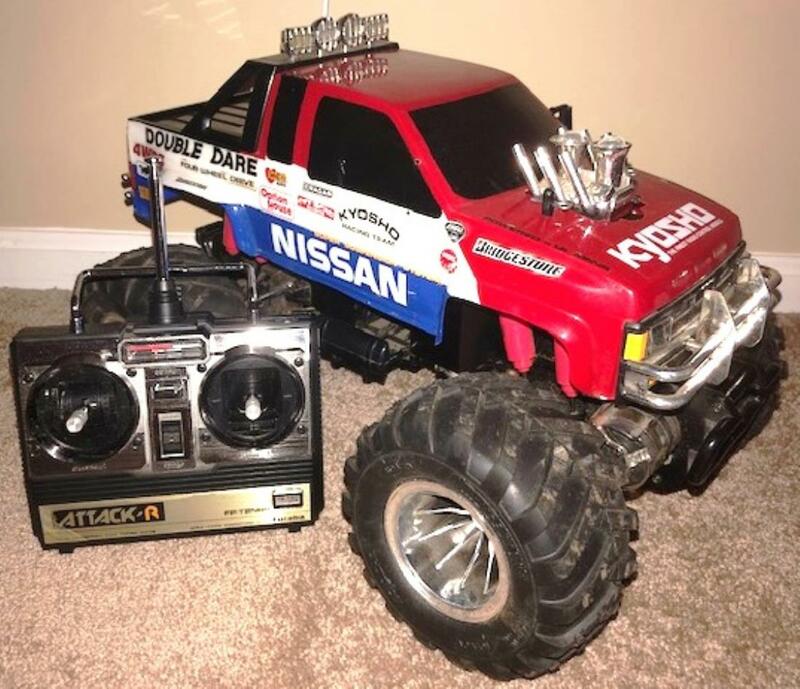 I never had one of these as a kid but remember them fondly and did have a Kyosho USA-1 that I built from NIB when they first came out BITD so it's a familiar chassis to me (including the horrible stock steering set-up that demands a high-torque steering servo :) not to mention I really love the Nissan body/livery. 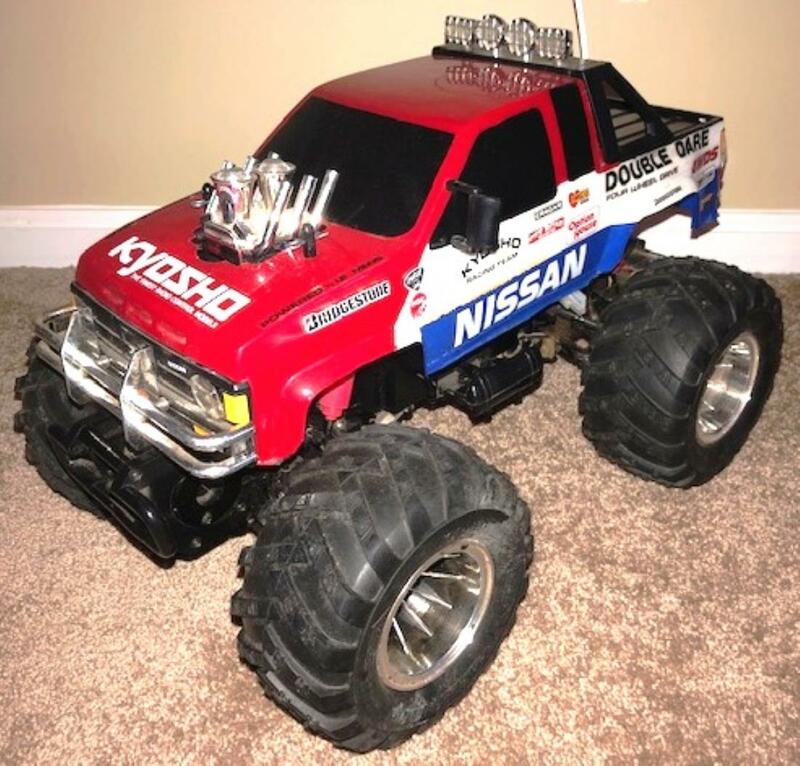 It's not as big or fast as a USA-1 but the Lemans 05 stock motors have plenty of torque to move this around quite well so this should be fun in the backyard and on the beach. 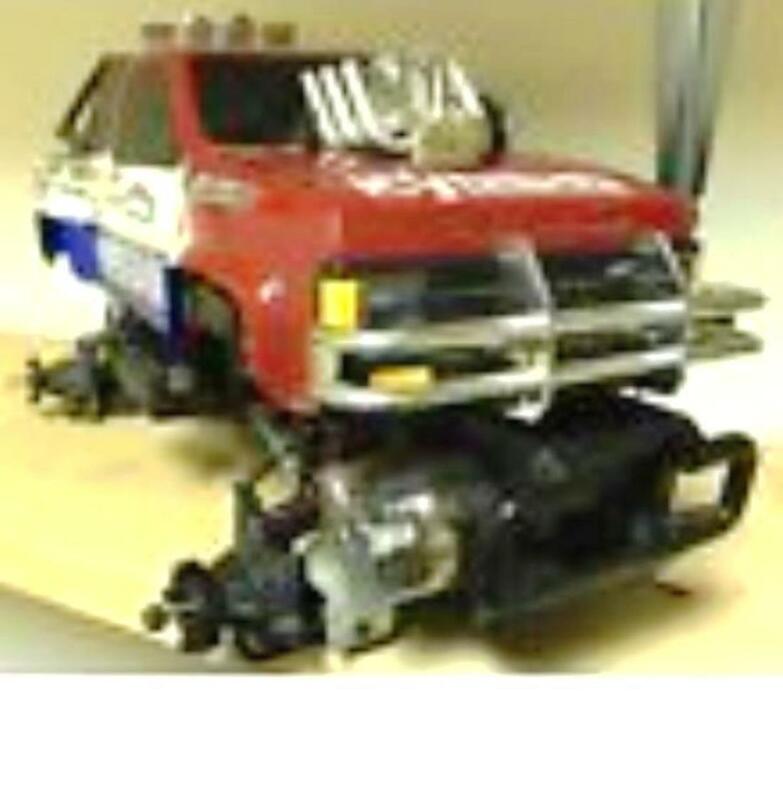 Interestingly, this was Kyosho's first 'answer' to the Tamiya Clodbuster during the original MT craze. 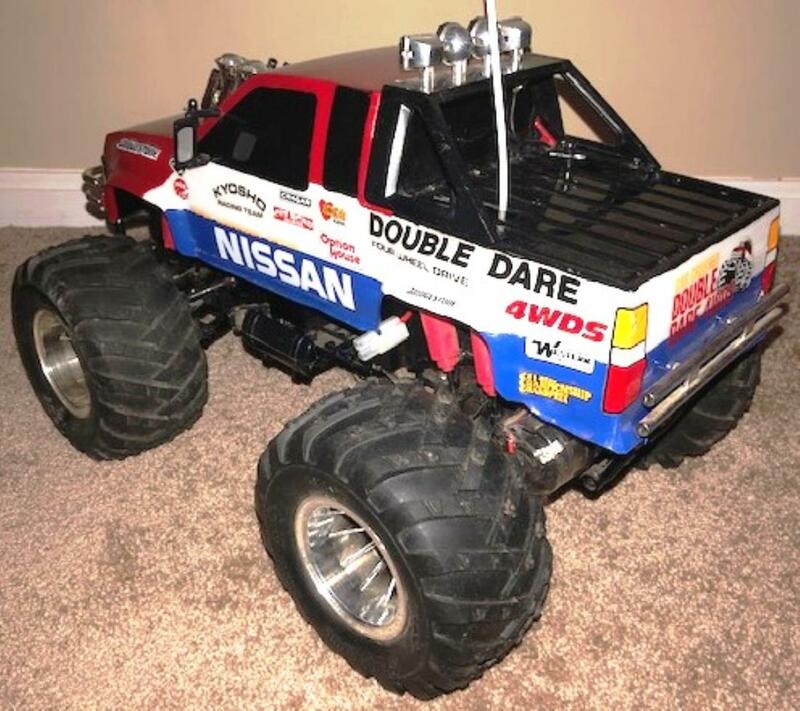 However, by the time it came out two years AFTER the Clod, everybody who wanted an r/c monster truck had already purchased a Clod so Double Dare sales were not that great. 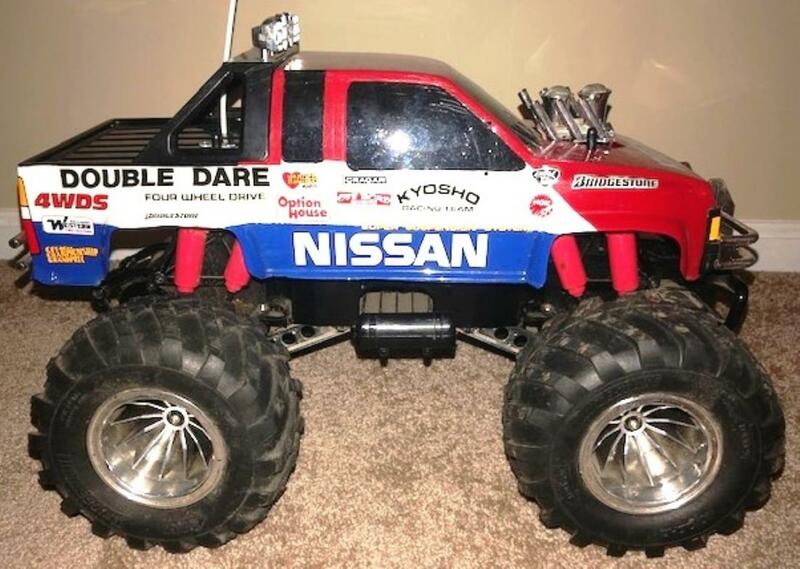 Of course, it didn't help that Kyosho gave the Double Dare smaller MT rims/tires than the Clod because they were not as realistic. 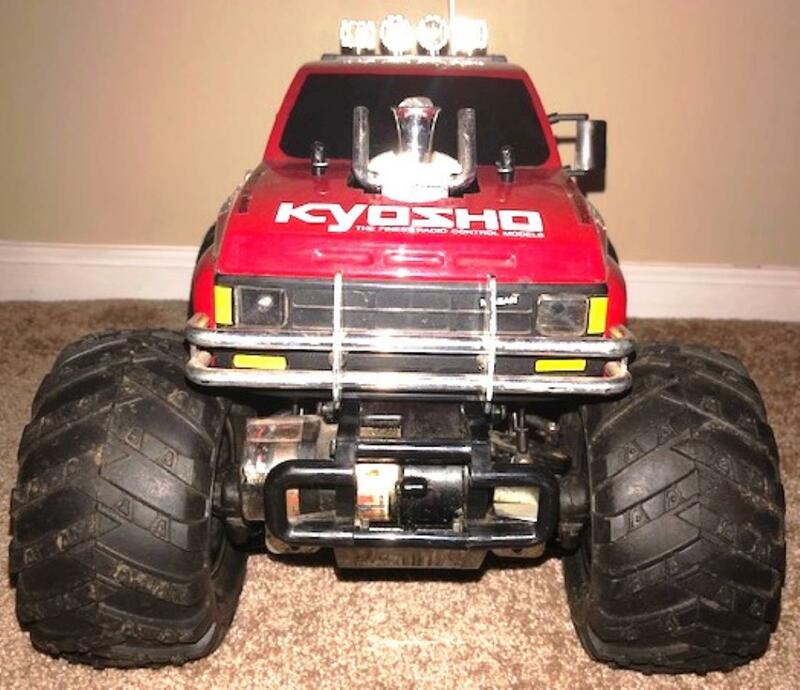 The situation really mirrors the current Kyosho company being a day late and a dollar short in terms of re-releasing their vintage kits long after Tamiya started doing so which doesn't make their recent purchase/corporate re-structuring or the supposed risk of no further Kyosho re-re kits all that surprising. Thanks for looking and hope you enjoy. Chrome rims in very nice condition. 4WS. Clean, simple and reliable. 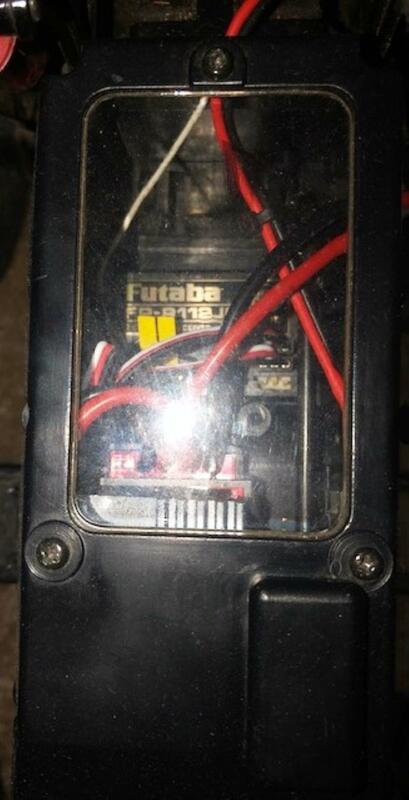 Mint Futaba Attack-R radio. 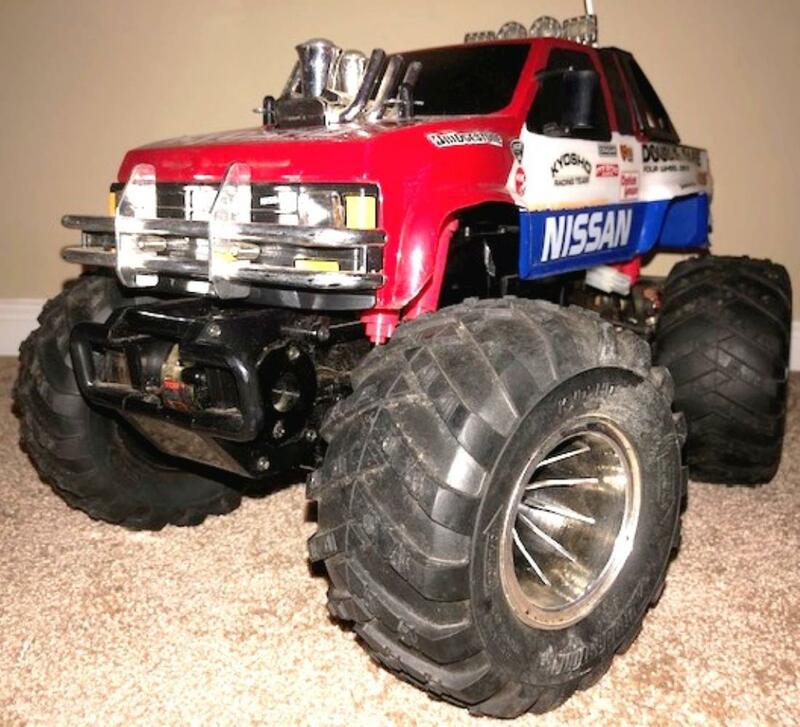 Original Ebay auction picture. 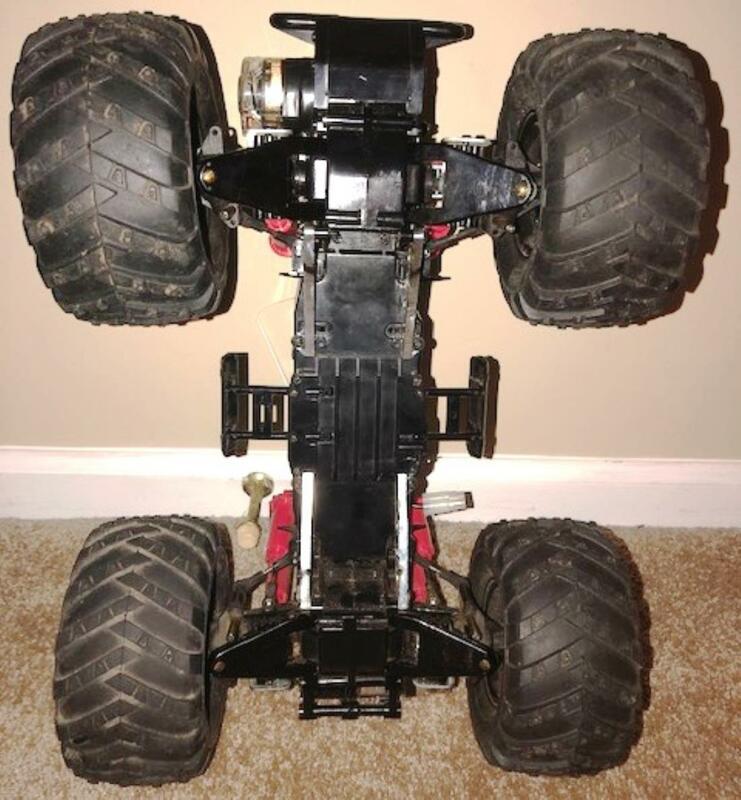 I find these interesting, what's the suspension like? @MAD-BEE: Good question. 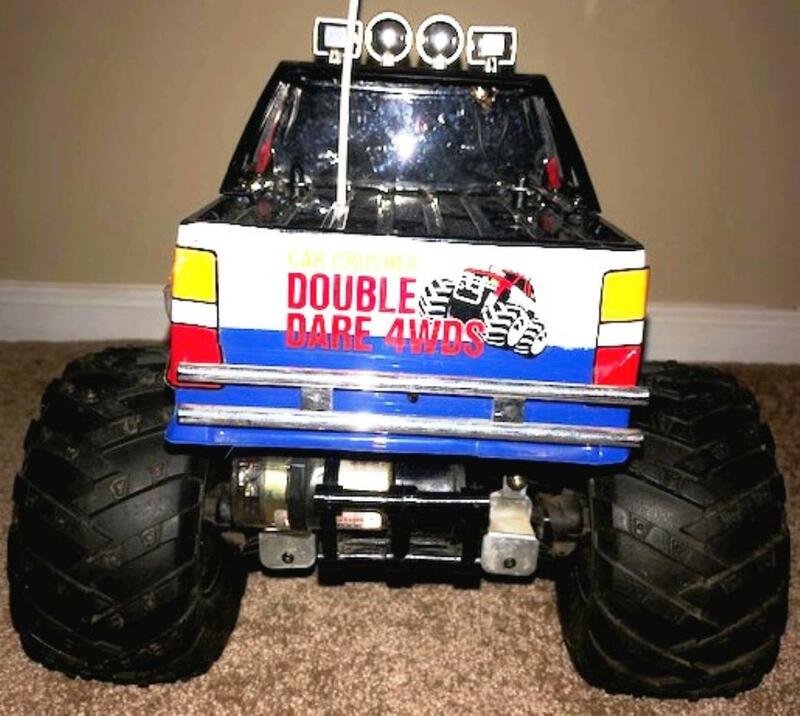 Unlike the rigid floating axles of the Clod, the DD (and USA-1) has 4-wheel independent suspension all around with two shocks per drive axle so it's basically a 4WD buggy on big wheels/tires with dedicated front/rear motors. 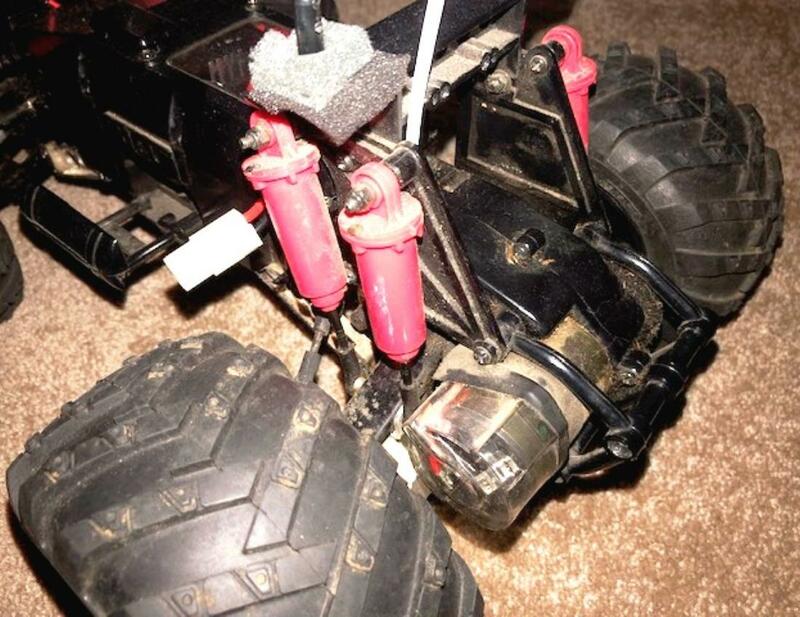 While not as realistic as the Clod's rigid axles, I think the independent suspension works pretty well for its time and that combination was a big reason why RCCA found the USA-1 quicker and more agile than the Clod during their heads-up shoot out BITD. 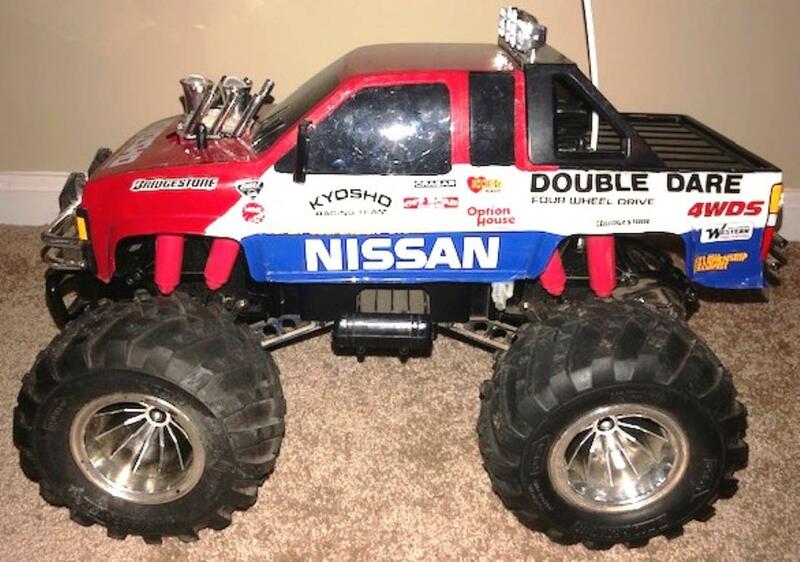 That said, enthusiasts obviously didn't care b/c Clods far out-sold the other two by a long shot and still command more money to purchase used.